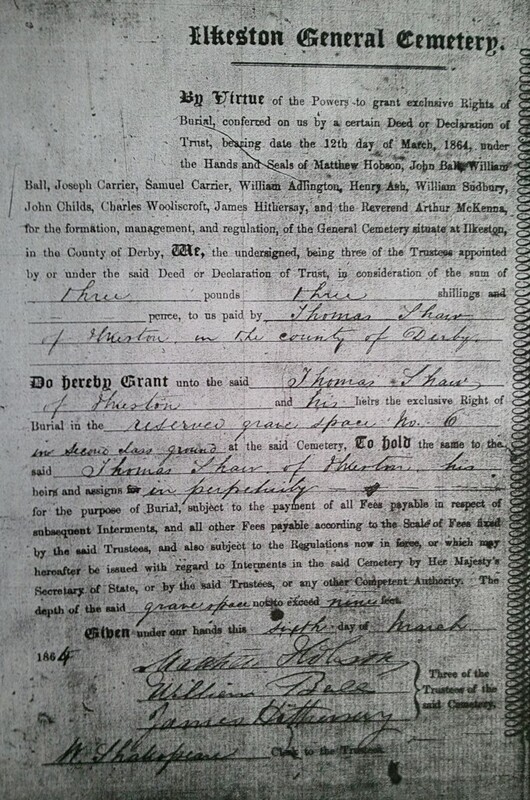 This is a register identifying those persons who, between March 1864 and March 1901, paid to reserve a burial plot at the General Cemetery. A form was completed for each reservation. Below is an example .. the first one in the Register. Some of the forms — indicated with an asterisk * — were not completely filled in.